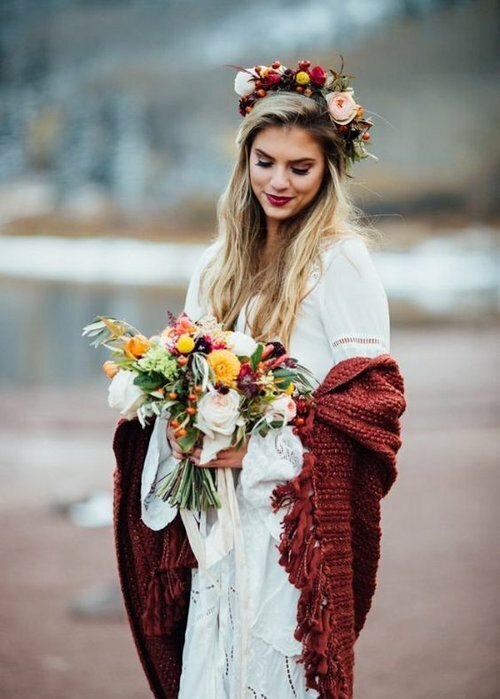 Opt for something a little more covered, goosebumps don’t go well with a beautiful wedding dress! Go for a block heel. If the wedding is outside it could be slippery due to the weather or snow. You’ll need something with a larger surface to balance you. Don’t be afraid to sparkle! Channel the beauty of the season with some sparkle. If you’re not a fan of the traditional veil, why not go for a diamante tiara or hair slide? This will add a winter princess feel to your look. Be comfortable. I know easier said than done, but you’ll be wearing the dress all day long, so make sure you’re comfortable and can breathe! Think of the fabric. 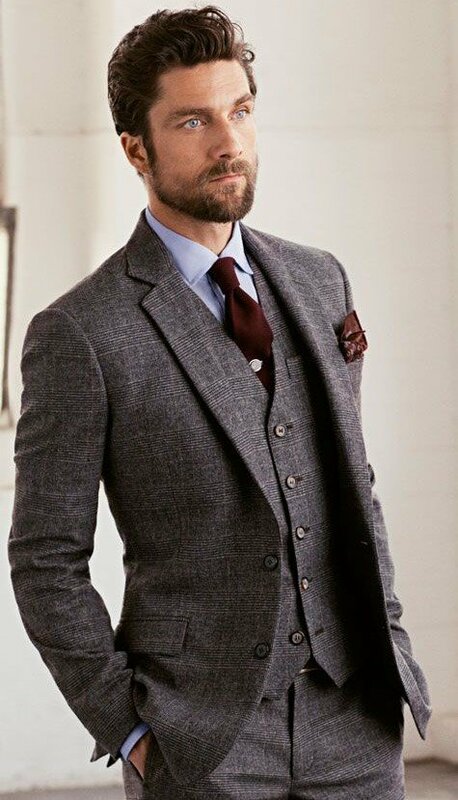 As the setting will be quite cool, you can be cool too and opt for a tweed or wool suit. Get fitted. I would recommend going to a professional tailor even if the suit has been purchased off the rail, a good fitting suit will always make you look amazing. Be clever with colour. Make sure you think about what your future wife’s colour palette is and try to incorporate that somehow within your outfit. My husband matched his tie with my flowers! Shoes. You don’t have to go traditional with your shoes. Why not try a smart chelsea boot, perfect if the wedding is outside. Go all out. A wedding is a great occasion to really dress up. So don’t be afraid to make an effort. Try sparkle, fur, full length - Just go for it! Comfort zone. Again, you will be wearing this outfit all day so it is important you’re comfortable. Fabric. Think of the fabrics and weather they may give you sweat patches later in the evening. Fabrics like Polyester can do this so beware! Invest in a pair of fold-away pumps to pop in your clutch bag to save your feet later in the evening. Think of your body shape and what style outfit would suit you more. For instance, if you’re petite and curvy, opt for a shift style dress to cinch you in. Fabric. Again, this is the same issue. It will be cold outside, but warm inside so I would recommend you getting a bolero/jacket you can remove in the evening. Shoes. Opt for comfort, there are some great shoes out there that provide style and comfort. Remember, you want to dance the night away! Don’t be afraid to step away from tradition. Just because you are the mother, doesn’t mean you can’t look fabulous. I’m not talking upstaging the bride, but really go for it! Do you have a wedding coming up and need a helping hand? I have years of experience dressing people for weddings.